Here comes the bride! Well... Possibly. In case you haven't heard, Justin Bieber and Hailey Bieber are reported to have legally said "I do" during a civil ceremony in New York City on Thursday. 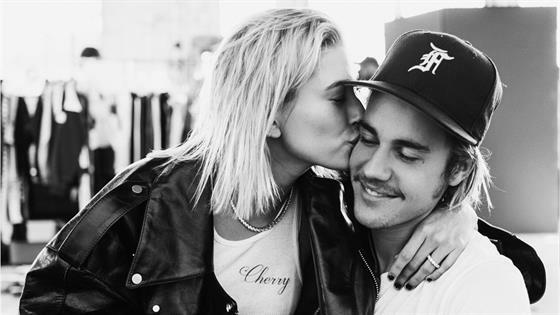 According to an eyewitness, the pop star and model were married in a back room of the building's marriage bureau, but 21-year-old Hailey doesn't consider herself a Mrs. just yet. "I understand where the speculation is coming from, but I'm not married yet!" she tweeted. Amidst the speculation and excitement, photographers spotted the could-be newlyweds making a swift exit from their Brooklyn apartment. Justin and Hailey, who did not appear to be wearing wedding bands, locked hands as they made their way into a car. The "No Brainer" singer, 24, maintained a low profile in a black knitted beanie, sweatshirt and baggy pants. Fresh off Fashion Week, Baldwin looked trendy in an oversized leather jacket, denim cut-off shorts and a cropped tank top. Hailey's social media confession about their relationship status makes total sense, especially since a source previously told E! News the couple is planning a "separate ceremony out of the country" for their family members to attend. "Justin and Hailey told friends and family they were going to get paperwork and inquire about a marriage license but decided to tie the knot right at the courthouse yesterday," a second insider revealed. "No one knew about their plan. They thought it would be better that way so no one would try and talk them out of it. They wanted it to be a special moment just between the two of them." Prior to yesterday's outing, we're told the celeb pair completed marriage counseling sessions through their church. "They both agreed that they wanted the church to be heavily involved in the process and wanted to follow all of the protocols," the source explained. In a recent interview with WWD, Baldwin said she's tried to "be choosy" with her work commitments as of late in order to "have the time to spend being relaxed and being with family—and my fiancé." Back in July, shortly after rekindling their romance, Bieber got down on one knee in a surprise proposal to Baldwin while on vacation in the Bahamas. "The proposal was a very happy moment and Hailey was taken off guard," a source revealed at the time. "Her face was in shock but you could tell they are both so in love."